When purchasing a home, one of the most important factors a family with children considers is the quality of the elementary, middle, or high school the kids will be attending. According to a recent article in National Mortgage Professional Magazine, Zillow Inc. has now launched a new “schools search” tool that will allow you to actually search for a specific school and a home that is for sale in a desired area. It is the first and only “home shopping” resource where you as a potential home buyer can combine school types all in one search. How it works is that the “schools search” tool is integrated into the Zillow online and mobile IOS home shopping experience. And even though most school searches will allow potential home buyers to look at specific homes in the actual boundaries of one particular school, Zillow allows a family to search a plethora of boundaries, and then filter this search by school ratings. 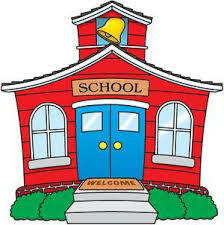 Zillow utilizes GreatSchools, which is the nation’s leading online guide to PreK-12 schools. GreatSchools shows ratings and reviews of all of the schools in the United States. The online tool is easy to use. You simply click on the “graduation cap” icon on the map during your search, and then choose an elementary, middle, or high school boundary. You can also choose a combination of the three. You can also even narrow your search by ratings and/or reviews, and even choose a public or private school. If you are interested in purchasing a new home and would like a professional to help you in the process, please contact me and we can talk about all of your needs and concerns.